The summer after Mikail passed away, I found that any moment alone was difficult. Too much time to think. Thinking meant trying to make sense of the senseless death of our son. Thinking meant dealing with guilt. Thinking meant painful flashbacks. Driving to places was difficult. Sitting on the deck with a cup of coffee was difficult. Going for a walk was difficult. But something almost always happened when I was met with those solitary moments and dispair started to settle in: more often than not, a butterfly would fly by, or come near to me. I found such comfort in these moments. It was as though God opened a window in heaven and allowed Mikail to release a beautiful bit of heaven to be sent down to his Mama. As though to tell me that he's okay; that he loves me, and that this butterfly is his kiss to me from glory. When I feel like things are hopeless, the appearance of a butterfly reminds me that there is hope. The rebirth from caterpillar to beautiful butterfly reminds me that beauty can come from ashes. Life will be beautiful again. While spending time in the garden, this week, a beautiful Giant Swallowtail Butterfly hovered around us while we picked tomatoes. 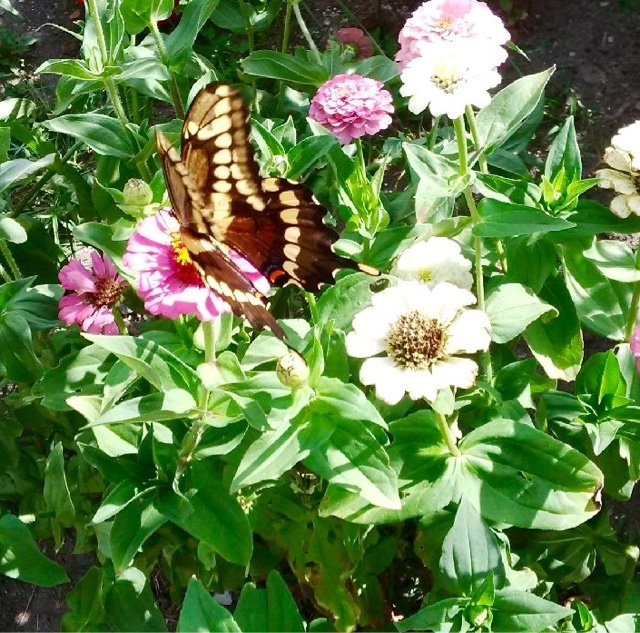 It seemed to enjoy the Zinnias I had planted in memory of my Oma. 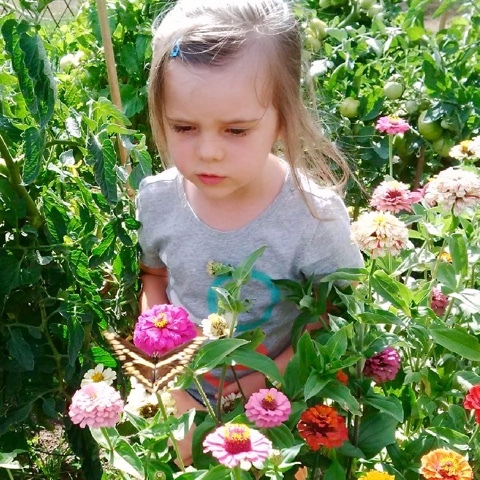 For me the past week has been one of the most difficult since we said goodbye to Mikail, so to have this beautiful giant butterfly spend time with us, was heaven sent for me. God sent Noah a rainbow--a symbol--a promise. Butterflies have become my rainbow--a symbol--a promise. So beautiful to read this. I totally believe it is true. One of my closest friends passed suddenly last fall. So many times since then butterflies appear when I think of her. The most amazing thing was last November when small white butterflies were flitting through the park even though their season was well over. It was shortly after her passing and it felt like reassurance that she was still there and not too far. I really appreciated how you capture the so much of what is intangible in words.